Appearing in the latter half of a Festival that has made its theatre audience work harder than in previous years, Tim Crouch keeps us on the edge of our seats with a show that probes cultural tastes through the figure of Shakespeare’s much maligned tragicomic steward. We discover Crouch’s Malvolio in the mad house, dressed in yellow stockings and clutching the letter he believed from his beloved Olivia, still protesting his sanity and clinging to the stuffed-shirt indignation that made him a target for Sir Toby Belch and his cohorts. At first he cuts a ridiculous figure, but when he enlists the help of audience members to hold his chair while he erects a noose, the mood darkens. ‘Is this the kind of thing you find funny?’ he accuses. Malvolio’s fate in Twelfth Night has long been the subject of debate, but by turning the tables so comprehensively on his audience and drawing our attention to the nastier aspects of that play, Crouch makes us consider our own tastes for cruel humour, whether in Shakespeare’s problem plays, soaps, reality TV or the internet. In the end, as Crouch leaves the stage, still in character, while we linger, not knowing whether to applaud, you can’t help feeling that Malvolio has had the last laugh. Traverse Theatre, 228 1404, until 28 Aug, times vary, £15–£17 (£12–£13). 'Look at you. Sitting with your bellies full of pop and pickled herring. Laughing at me. Go on. Laugh at the funny man. Laugh. Make the funny man cry.' 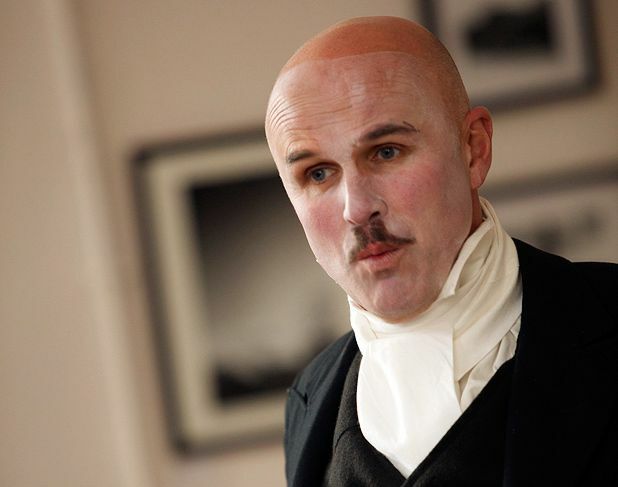 I, Malvolio re-imagines Twelfth Night from the point of view of Shakespeare's pent up steward, a hilarious and often unsettling rant from a man notoriously wronged.